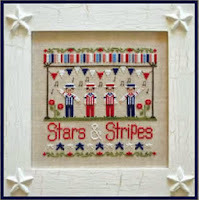 The Finishing Touch: Trunk Show Update! The beautiful fabrics from Fabric Flair are about to leave us. If you have not made your selections from the wide range of colors in linen and evenweaves, now is the time. Early next week, we will be sending this show on to its next stop. We hope you have enjoyed the unique color combinations and patterns available in this line. Next on the trunk show list is a selection of models from OMG. Andrea Wochenske, daughter of our longtime friend and designer, Maureen Appleton Sorenson, now has her own design company featuring confections of all kinds; including cupcakes, tiny treats, cakes, etc. 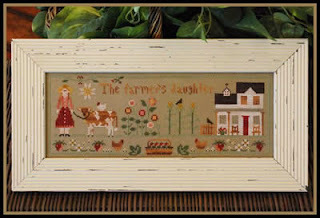 Beginning first week in July, stop by check out these models all stitched over one thread. Treats galore! The Rosewood Manor show continues to WOW all who see it. 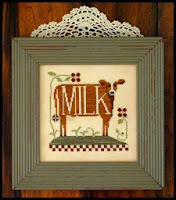 We have just added the Spring Quaker model for your enjoyment. 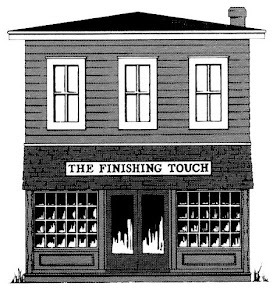 This show will remain for a few more weeks. Don’t miss it. With July 4th rushing toward us, here are some brand new patriotic designs for the season. 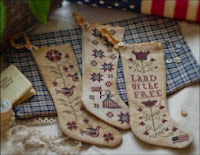 Betsy’s Stockings features three small stockings for July 4th decorating. Too cute. 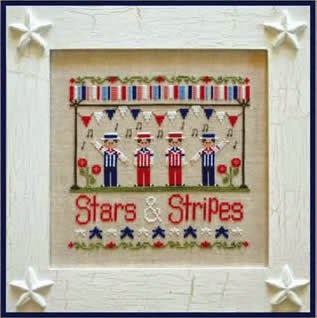 Stars & Stripes featuring four darling musicians strutting their red, white and blue presented by Country Cottage. A must see. 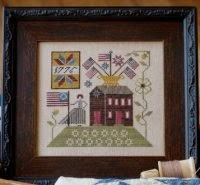 Liberty House, from Country Stitches, is another not to be missed patriotic design shown here. 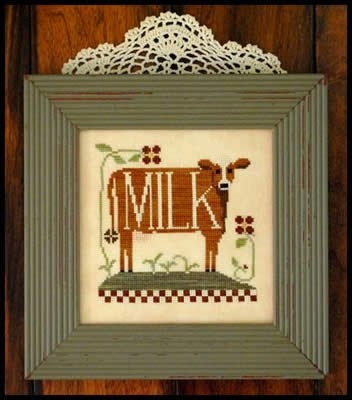 In addition, this week has brought us Bessie, the cutest little cow you have ever stitched, as well as The Farmer’s Daughter. This design incorporates farmer’s house, chicken, cow and garden to go with the daughter. 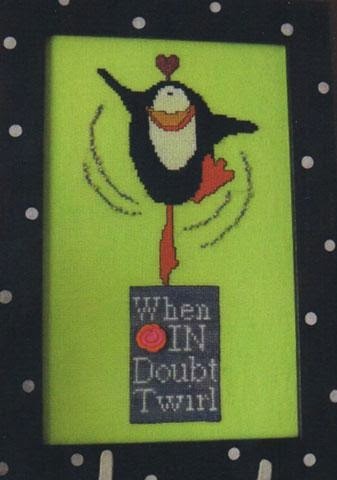 For something entirely whimsical, check out Amy Bruecken’s Twirl, also pictured here.